Derik Crotts (aka, the Colonel) is an experienced leader, communicator and marketing strategist whose work spans from Daytona to Wall Street to Europe and Asia. He has more than 32 years of national and international experience in corporate counseling, marketing, sports communications, media relations and public affairs. In addition to his position as Director of Marketing, Communications and Operations for NAUI Worldwide, he is an adjunct professor in sports communication; sports media, law and ethics; conflict management, and scuba diving at Queens University of Charlotte. He has additional academic experience at the University of Maryland’s University College where he taught Organization Theory and Development. He formerly served as Director, Strategic Communications, Marketing and Outreach for the U.S. Army, where he managed all marketing and advertising efforts and was the architect behind numerous recognitions for innovative and creative marketing, recruiting and community outreach programs. Included in these were the Public Relations Society of America (PRSA) Bronze Anvil Award of Excellence in 2000 and the Silver Anvil in 2011. Programs under his direction also received a Gold Jay Chiat and a Gold and Silver Effie. As a senior military consultant to Fleishman-Hillard International Communications, Derik served as a media trainer, public relations and crisis communications manager in support to Olympic Sponsors during the 1996 Olympic Games in Atlanta. 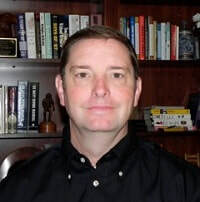 Derik is prominently noted for his management of the Army’s motorsports programs. A familiar and respected fixture in NASCAR and NHRA, his expertise included maintaining and enhancing strategic alliance and partnerships between stakeholders and uniting hundreds of diverse staff members to serve a common goal. He managed and directed digital media, broadcast and print support for the U.S. Army and its motorsports program. He served as General Manager for NASCAR’s Drive for Diversity Race Team from 2011-2013 and led Rev Racing to a NASCAR K&N East Championship in 2012. As a scuba course director, Derik has planned and conducted certification training for instructors and dive operations throughout the United States, the Caribbean and Europe. Diving in some of the world’s most unique areas and situations, Derik has relied upon his experience to develop and conduct a wide range of dive specialty training, including a unique training program covering underwater investigative techniques. Derik has a MA in Strategic Studies and International Affairs from the Naval War College, Newport, Rhode Island and a MPA from Murray State University, Murray, Kentucky.